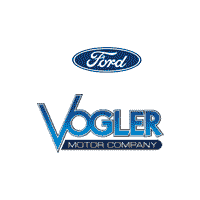 Any Ford dealership in Illinois worth their salt will be able to show you a new Ford F-150, but at Vogler Ford, we live and breath everything F-150. This classic truck truly embodies the word capability, and is worth every penny truck drivers spend. The F-150 makes even the toughest tasks look easy, no matter whether you’re towing your boat to the lake for the weekend or loading it up with concrete on the job site. The trucking industry constantly needs to follow the F-150 and it continues to dominate in 2019 with the 2019 Ford F-150 model. The 2019 version is one of our all-time favorite trucks, and we wanted to give you a closer look at what exactly makes this powerhouse so great. Performance capability is the first thing most people look at when evaluating a new truck. Performance includes everything from how much horsepower the different engine options make to how much stuff you can fit in the cargo bed. The 2019 Ford F-150 isn’t some chromed-out truck that’s all for show, it’s a real heavy-duty truck that’s ready to work. No posing here. Having a variety of engine options is important for drivers who want to be able to customize their new truck to fit their work needs. Someone who just does a lot of work around their house might not need as much power as someone who wants to use the truck at a construction site every day. 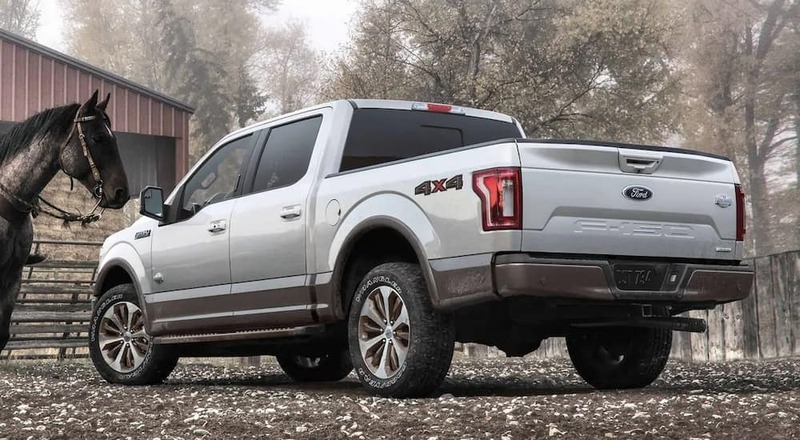 No matter what your needs are, you’ll have plenty of engine options with the 2019 Ford F-150, 6 options in fact. The base engine in this truck is a sturdy V6 that makes 250 horsepower and is a great choice for everyday driving and routine workloads. You can upgrade to get a choice of a V8 engine, a turbodiesel engine, and three turbocharged V6 engine options. Horsepower ranges from 250 with the base engine all the way up to 450 for the people who need a mega-capable truck. You might expect that the 2019 Ford F-150 gets terrible gas mileage since it’s so powerful, but you’d be wrong. Unlike many trucks, the F-150 gets surprisingly good gas mileage. With the base engine equipped, you can expect to get up to 19 MPG in the city and 25 MPG on the highway. Not too bad for a truck of this capability! Towing and hauling are also important aspects of performance. Most people who buy trucks have things they need to move around. With the 2019 Ford F-150, most stuff isn’t going to be a problem for you. Depending on which engine option you go for, the 2019 F-150 can pull heavy trailers or even haul a full bed of cargo without feeling strained and overburdened. The F-150 ranks top in its class for maximum capabilities, hauling a total of nearly 3,300 pounds and towing an outstanding 13,200 lbs when it’s been properly equipped. It’s no wonder that the F-150 has become the standard for powerful trucks. Safety is another key factor people looking to buy a new Ford truck look at when they begin shopping. Lots of people expect to drive their truck around, whether they’re road tripping to a new lake to put their boat in or driving across-state to a job site. And since the 2019 Ford F-150 seats between 3 – 6 people, many drivers want to be sure that their families and friends are just as safe as they are when they come along for the ride. So, even though you might not picture safety ratings when you hear the slogan “Built Ford Tough”, you probably should. Because these trucks are built for safety too. Next time you think about a new F-150, we want you to not only picture it plowing along some rough terrain with a boat behind it, kicking up dirt as it flies by. We want to picture it winning the highest safety rankings by the National Highway Traffic Safety Administration. The NHTSA scored the 2019 Ford F-150 a 5 out of 5-stars overall for safety. This means that it scored highly for roll-over, side crashes, and more. This truck is built to take a beating, but it also comes with a great variety of safety features that add to its toughness. Many of these features are powered by new and emerging technologies. 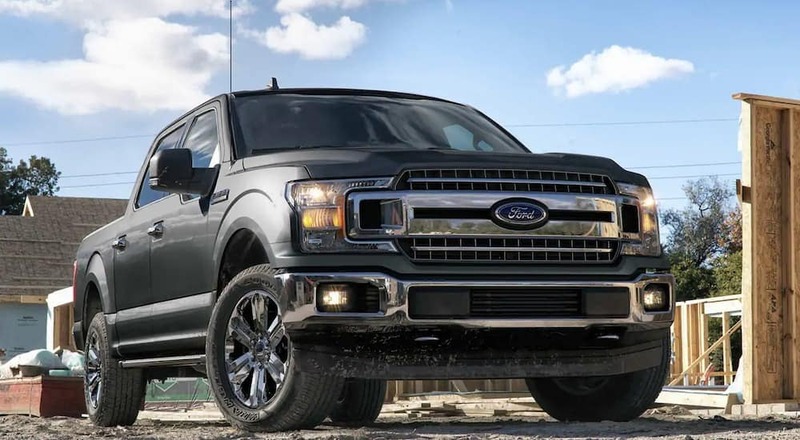 Standard safety features in the 2019 Ford F-150 include automatic high beams, forward collision warning, automatic emergency braking, pedestrian detection, and a rearview camera with Dynamic Hitch Assist. That means that both trailer hitch assist and hill start assist come standard with the F-150! Available active safety features that can be added as upgrade option include a 360-degree camera system, rear parking sensors, lane keep assist, blind spot monitoring, rear cross traffic alert, adaptive cruise control, and active park assist. Some trucks only focus on being able to tow and haul, but the F-150 goes further in offering all of these great safety features! It isn’t surprising that the NHTSA gave the F-150 a 5-star rating this year! This iconic truck has been the poster-child for what it means to be a truck for years. It’s bold, powerful, and ready to work, and it looks it. No one will mistake a Ford F-150 for anything less than a workhorse, and it’s unlikely that they’ll mistake you for anything less either. Depending on your personal style and preferences, you can pick from a choice of 7 trims to customize your F-150. You can go with the base model, the XL, or go all out and upgrade to the Limited trim. Other trim levels, each with their own unique exterior features and styling, include the XLT, Lariat, King Ranch, Platinum, or Raptor. So, go ahead, customize your powerhouse to reflect your own style, but never compromise on capability! Just like how the 2019 Ford F-150 is fully tricked out with available and standard safety features, Ford doesn’t shy away from offering some excellent technology options inside the cabin. Just because you’re working doesn’t mean that you don’t deserve to be entertained and comfortable. There are loads of available and standard features which include things like a twin-panel moonroof, dual-zone automatic climate control, the SYNC 3 infotainment system, an 8-inch touch screen, navigation, a 10-speaker Bang & Olufsen audio system, satellite radio, Bluetooth, a USB port, and a Wi-Fi hot spot. Whew! That’s a mouthful! Another feature that sets the 2019 Ford F-150 ahead of many other trucks on the market is the availability of Apple CarPlay and Android Auto. These features provide a way for drivers to seamlessly integrate their smartphones directly into their trucks. This means that they can access many of their favorite apps directly through the infotainment system with ease! Now drivers with this integration can listen to all their own music, use their favorite navigation apps, and more! No matter where the road takes you, you can be sure that the 2019 Ford F-150 is ready to take on the toughest challenges, keep going, and keep you comfortable no matter what. This isn’t just any old truck, it’s a Ford, and it’s ready to work just as hard as you do. If you want to test one of these beauties today, stop in at our Vogler Ford dealership in Illinois today. We can’t wait to show you what it’s all about!